West Bengal Public Service Commission (WBPSC) Recruitment 2019: West Bengal Public Service Commission has recently publish an advertisement notification for Principle, Engineer Posts vacancies jobs opening for September 2019. The WBPSC notification for the Principle, Engineer Posts, candidates who are interested may apply in the prescribed application format on or before 17/10/2019. The total vacancies in West Bengal Public Service Commission (WBPSC) Principle, Engineer posts details are given below. The minimum educational qualification for WBPSC Recruitment 2019 for the Principle, Engineer posts is given below. Principle – Candidates Should be Passed Master’s Degree From Well Recognized University For the Posts. (For more details please check the advertisement). Engineer – Candidates Should be Passed Mechanical Degree From Well Recognized University For the Posts. (For more details please check the advertisement). Senior Scientific Officer – Candidates Should be Passed Master’s Degree From Physics From Well Recognized University For the Posts. (For more details please check the advertisement). Principle – Rs. 15600-42000/- Grade Pay Rs. 5400/-. Engineer – Rs. 15600-42000/- Grade Pay Rs. 6600/-. Senior Scientific Officer – Rs. 15600-42000/- Grade Pay Rs. 6600/-. General and OBC Category Candidates have to pay Rs. 210/-. Candidates belonging SC/ST/Reserved Category they are no application fees. (For more details please check the advertisement). STEP–3: Read the WBPSC Advertisement carefully and be ready with the mandatory documents mentioned above and then click on “Register Online” & fill up the Online Application Form with all your details. West Bengal Public Service Commission (WBPSC) Recruitment 2019: West Bengal Public Service Commission has recently publish an advertisement notification for Agricultural Marketing Officer, Draftsman Posts vacancies jobs opening for September 2019. The WBPSC notification for the Agricultural Marketing Officer, Draftsman Posts, candidates who are interested may apply in the prescribed application format on or before 21/09/2019. The total vacancies in West Bengal Public Service Commission (WBPSC) Agricultural Marketing Officer, Draftsman posts details are given below. The minimum educational qualification for WBPSC Recruitment 2019 for the Agricultural Marketing Officer, Draftsman posts is given below. Agricultural Marketing Officer – Candidates Should be Passed Food Technology / Biochemical Engineering From Well Recognized University For the Posts. (For more details please check the advertisement). 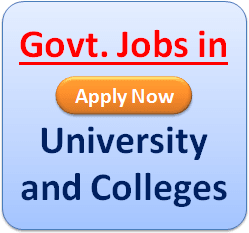 Draftsman – Candidates Should be Passed Madhyamik Examination From Well Recognized University For the Posts. (For more details please check the advertisement). Candidates age between 36 to 39 years as on 01.01.2019. Agricultural Marketing Officer – Rs. 9000-40500/- Grade Pay Rs. 4700/-. Draftsman – Rs. 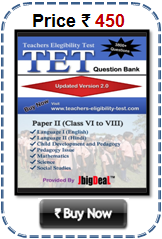 7100-37600/- Grade Pay Rs. 3600/-. General and OBC Category Candidates have to pay Rs. 210/- Should be paid through Net Banking, Credit Card, Debit Card. Candidates belonging SC/ST/Reserved Category they are no application fees. (For more details please check the advertisement). West Bengal Public Service Commission (WBPSC) Recruitment 2019: West Bengal Public Service Commission has recently publish an advertisement notification for Controller of Examination Posts vacancies jobs opening for August 2019. The WBPSC notification for the Controller of Examination Post, candidates who are interested may apply in the prescribed application format on or before 20/09/2019. The total vacancies in West Bengal Public Service Commission (WBPSC) Controller of Examination post details are given below. The minimum educational qualification for WBPSC Recruitment 2019 for the Controller of Examination posts is given below. Candidates maximum age limit is 40 years as on 01.01.2019. Rs. 28000-52000/- Grade Pay Rs. 7600/-. General and OBC Category Candidates have to pay Rs. 210/-. Candidates belonging SC/ST/Reserved Category are no application fees. (For more details please check the advertisement). West Bengal Public Service Commission (WBPSC) Recruitment 2019: West Bengal Public Service Commission has recently publish an advertisement notification for Assistant Professor Posts vacancies jobs opening for August 2019. The WBPSC notification for the Assistant Professor Posts, candidates who are interested may apply in the prescribed application format on or before 11/09/2019. The total vacancies in West Bengal Public Service Commission (WBPSC) Assistant Professor posts details are given below. The minimum educational qualification for WBPSC Recruitment 2019 for the Assistant Professor posts is given below. Candidates age maximum 37 years as on 01.01.2019. Rs. 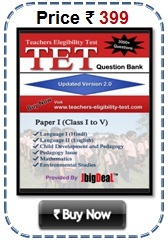 15600-39100/-Grade Pay Rs. 6000/-. General and OBC Category Candidates have to pay Rs. 210/-. SC/ST/Reserved Category Candidates are no application fees. (For more details please check the advertisement). Candidates Will be Selected through Screening Test / Written Test and Interview Process.